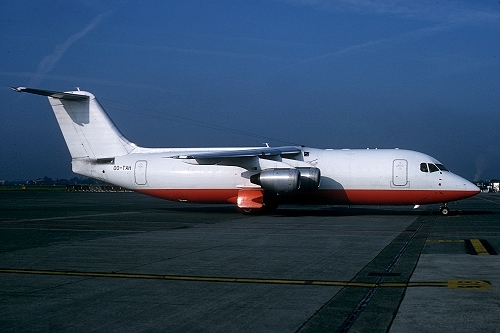 Description: the fifth Bae146 for TNT Airways, transferred from TNT (Air Foyle), became operational from March 23 2000 onwards. Here captured in its first (of two) color schemes but still without titles. 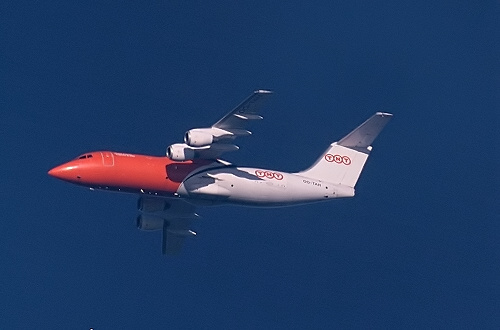 Description: captured at 20000 ft in the second livery adopted by 2002, its final revenue flight was made on September 19 2015 and it was transferred to Panair ten days later as "EC-MID".